Booking a vacation should be an easy decision, but we know that isn’t always the case. Holidays require you to take time away from your busy schedule: work, meetings, clients and all your responsibilities. That’s why, once you’ve made the choice to reward yourself with time off, you need to spend that time wisely. 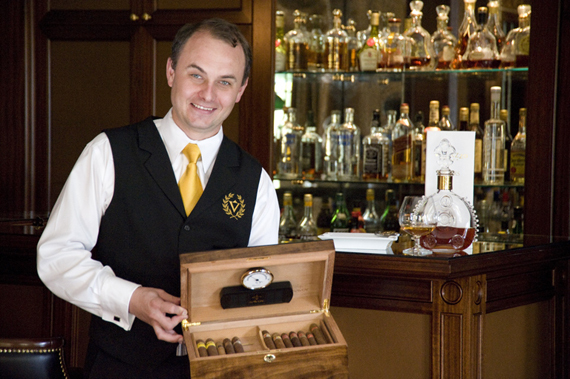 Because of this, Villazzo created one of its most popular services to date: The butler. It should come as no surprise that travelers often cite fall as the best time of year to experience Miami. Although much of the country begins to cool down in the month of October, the average high temperature in Miami sits around 85 degrees (approx. 30 Celsius). With tourist season long past, there’s also more freedom to enjoy the true Miami lifestyle (think ample beach space). 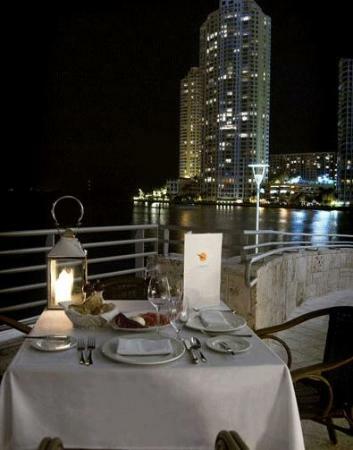 If you’re still planning your fall Miami getaway, Villazzo still has some of its signature VillaHotels available. Saint-Tropez is home to over 100 vacation Villas, but only 10 meet the high standards of privacy, amenities, décor, ambience and design that have come to define the Villazzo name. Our luxurious Villas Nathalie, Fontana, Emma, Victoria, Mary, Jessica, Andrea, and Clara were reserved months in advance in anticipation of a spectacular Summer Season nestled between the beaches of Ramatuelle, Gassin, and the Saint-Tropez Peninsula. 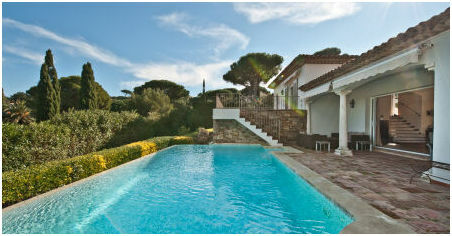 In addition, the Summer of 2013 marked the beginning of our partnership with Saint-Tropez Villas. This Luxury Real Estate Consultant has assisted clients in the region for over 15 years. Villazzo’s partnership allowed them to offer an upgrade to their basic Villa Rental and introduce the concept of VillaHotel to their portfolio. Book Your Villa Hotel This Summer Before it Gets Too Late! Villazzo is proud to announce another successful Summer Season. Our Private Hotels, in Saint-Tropez, Miami and Aspen continue to redefine the luxury travel experience. Our top properties book months in advance, but a few select dates are still available at some of our finest resorts. Showcasing 25 exclusive retreats, Villazzo has come to define excellence and exclusivity. Our concept is simple. Offer our clients a complete five-star hotel experience with one exception. At Villazzo, you are the only guest. From our Management staff to Personal Trainers and Private Security, Villazzo overlooks no detail to make your stay extraordinary. Book Private Villas Online Or Contact us today and find out why private is better. With high end real estate booming in sought after cities like Aspen or Miami, many might consider getting into the game themselves. Of course, buying real estate, especially in a red hot market, comes with many considerations including location and how much time you’ll be spending in any given city. All of which makes the option of luxury villa rentals increasingly attractive for many who travel often or who are looking for vacation properties rather than more day to day family homes. The advantages of renting rather than owning your very own luxury villa as a vacation getaway are numerous, including getting a property in the best location, as well as receiving five-star service without having to staff a home year round. And when it comes to U.S. markets like Aspen or Miami, not to mention luxury European spots like St. Tropez, the booming luxury market means that prime homes aren’t always available either. Take the 2013 Coldwell Banker Previews International Luxury Market Report, for instance. This report details sales markets in the United States when it comes to properties over $10 million sold in 2012. 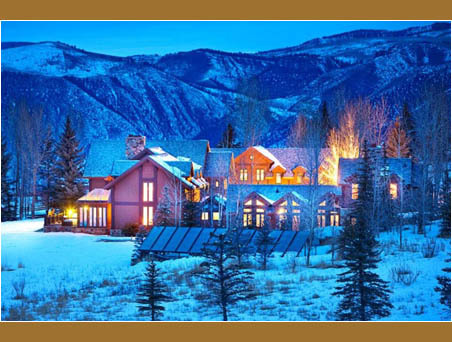 Aspen, Colorado was in the third spot after traditional luxury markets New York and Beverly Hills. An article in Luxury Daily outlines the report’s findings, including that the numbers “uncovered that there are a few up-and-coming areas that have not always been considered luxury real estate hubs.” To this end Betty Graham, President of Previews International at Coldwell Banker Residential Brokerage, explains that she was “quite surprised to see Aspen have almost as many high-end sales as Beverly Hills,” a clear indication that the mountain town is as popular as ever with jet setters, but also gaining traction as a wonderful location year round. All this is definitely good news for the sleepy but decidedly upscale town of Aspen, where according to The Aspen Business Journal, occupancy rates have been on the rise this year. The newspaper states that “occupancy rates at Aspen and Snowmass lodges in March were up 7 percent and 4.2 percent, respectively, compared to last year, according to the latest data. Numbers for April are also positive so far, according to MTRIP, a travel research program that keeps track of stats for mountain destinations. Bookings in Aspen for April are so far up 6.2 percent and they are up 49.8 percent in Snowmass compared to the same month last year, MTRIP reported.” If you’d love to enjoy the beauty of Aspen, but don’t want to deal with ever crowded lodges and resorts–or a red hot real estate market–then renting a luxury villa rental is definitely a great choice. Not that Aspen is the only real estate market that is booming. Miami too has benefited in the luxury sector from an influx of dollars from Latin Americans eager to soak up the sun and culture in this beautiful city, according to a recent article in The Global Post. “Miami and its surroundings, according to the latest report on the luxury real estate market by Christie’s, in 2012 burst into the group of the world’s main markets of this type, thanks to the general recovery in demand and low prices,” the article states. “[And] calculations are that Miami at the end of last year had more than 2,000 residences with prices above $1 million, half of what New York has despite the fact that the population of the Miami metropolitan area does not have even one quarter the people of the Big Apple.” Of course, if you’re looking for less of a long term option in amazing Miami then one of the stunning luxury villa rentals and VillaHotels available from Villazzo–with all the comforts of home including gourmet kitchens, expansive bedrooms and baths, pools, and even elegantly appointed indoor and outdoor dining areas–are a great alternative for a getaway this spring or summer. Summer may seem far off for many of us, but if you’re planning a getaway to a popular destination like St. Tropez it wouldn’t be remiss to start planning now. Not only where to stay–exclusive luxury villa rentals with all the amenities of five star hotels book up quickly!–but what to do during your vacation in the South of France. To that end there are a few new restaurants opening in St. Tropez that you’ll want to keep in mind for your visit including new Alain Ducasse and Georges Blanc hot spots. 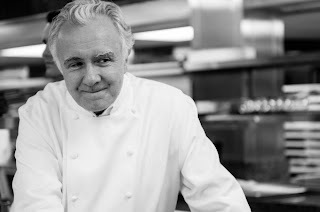 Rivea – Celebrated chef Alain Ducasse’s latest restaurant creation is Rivea, which is located at the Byblos Saint Tropez and is slated to open in mid-April. The menu created by Chef Ducasse is very Mediterranean, focusing on local products and heavily influenced by both Italian and French cuisine. The venue itself was designed by Antonio Citterio and Patricia Viel, who have made quite the splash with their vision for the Bulgari Hotel in London, and features everything from coral fabrics to local woods and flickering lanterns for centerpieces. The new Rivea will be replacing the Spoon restaurant at the Byblos. Le Suffren Café – The historic St. Tropez hotel, Hotel de Paris, is set to reopen again this year to much fanfare after a two year renovation. The historical Hotel de Paris is one of the most storied hotels in St. Tropez–it has been around since the 1930s and was the “it” spot in the 1960s and 1970s–and is also in a great location, within walking distance from both the Citadelle and the harbor. While the hotel offers several bars and lounges, the new Le Suffren is what is drawing the most attention. With Georges Blanc as consulting chef the new café is set to offer some top notch French cuisine in a traditional bistro-like setting along with a picturesque landscaped patio. If you are hoping to enjoy the summer sun in St. Tropez while dining at hot restaurants like the ones named above, think about a luxury villa rental for your vacation. Villazzo’s VillaHotel options marry the privacy and luxury of a private home with the personalized service and amenities of any five-star hotel. Looking to inject some fun into these final few weeks of winter? If so, Villazzo has some spectacular deals on luxury villas that will put you right in the middle of fun, fashion, and music in Aspen and Miami! Herald The Coming Of Spring In Aspen With Fashion Week In March! As winter begins to draw to a close, Aspen is ramping up for its annual Aspen Fashion Week, which runs from March 10-13. This year’s Fashion Week will take place throughout the city in three different venues, featuring a who’s who of the world’s most relevant and celebrated fashion designers. The city will be alive with celebrities, the fashion media, and fashion enthusiasts – it’s definitely a can’t miss event! Now is the perfect time to book your trip to Aspen with Villazzo, and experience the Fashion Week in the comfort and luxury of your very own private hotel. 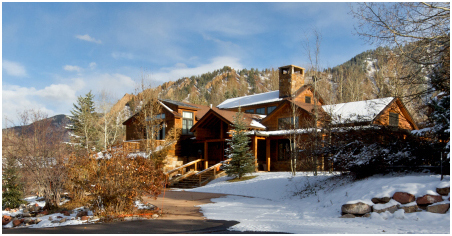 We’re very proud to offer two exclusive Aspen properties, Chantal and Rose. For a limited time, book Villa Chantal for just $11,500 a night, instead of its usual $14,500 Peak rate, or Villa Rose for $4,900 a night, instead of the $6,100 Peak rate. Both offers require a minimum stay of one week. What better way to experience the pageantry of Fashion Week in Aspen by staying in one of these amazing Aspen villas? Be sure to contact Villazzo today – time is running out! Miami Heats Up In March With Music & Fashion! Aspen isn’t the only exclusive vacation destination featuring exciting events in March. 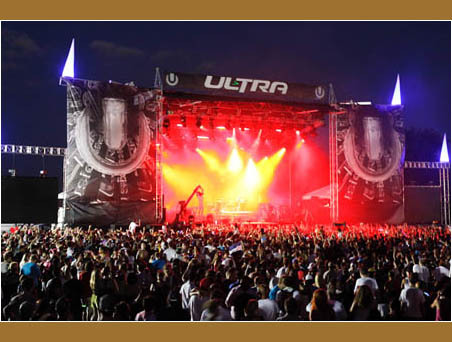 In addition to hosting its own Fashion Week, which runs from March 20-24, Miami will also play host to its popular Winter Music Conference from March 15-24, and the 15th Annual Ultra Music Festival, which takes place over the two weekends from March 15-24. Miami’s version of the Fashion Week includes an invigorating look at the world’s emerging stars in fashion, as well as a peek into what’s new for the upcoming trends and seasons. Much like the event in Aspen, Miami will feature the world’s top influencers in fashion. And if Fashion Week is not enough, why not mix in a little music with two of the world’s most influential music festivals, all of which takes place in the final two weeks of March. Both the Winter Music Conference and Ultra Music Festival herald the newest sounds coming out of the dance, techno, and electronic music genres. This combination of music and fashion makes for an experience in Miami that you simply cannot miss! Villazzo can put you right in the middle of the music and fashion scene in Miami with an incredible promotion. 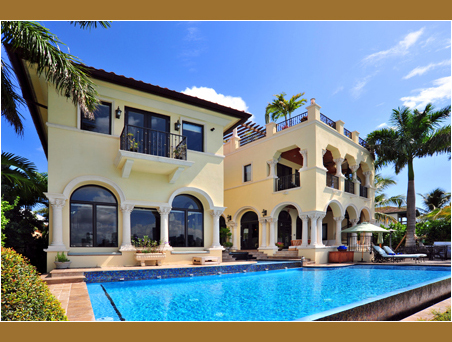 For the remainder of March, book any Villazzo property in Miami for a 1-week minimum and save 30% off! Be sure to act quickly: this offer expires March 24th! Can’t decide on Aspen or Miami? Why not visit both? This year’s Fashion Weeks in both cities are perfectly scheduled so that you can attend both, plus get to experience the two Miami music festivals as well. Contact Villazzo today on how we can make March a month to remember! Miami is a perfect winter getaway spot for so many reasons, from the beautiful sun and sand to the bustling nightlife and exclusive shopping. Truly impressive luxury villa rentals are another reason that those who are in the know flock to Miami’s southern shores. Of course, events held in Miami are also big draws for different types that range from art lovers to foodies. This week in Miami, the latter category will have lots to do with the 2013 SOBE Wine and Food Festival in town, from February 21 through to February 24th. Presented by the Food Network and Food & Wine this much anticipated gastronomical extravaganza features celebrity chefs, brunches, dinners, and seminars for both those who like to cook and those who just like to enjoy the creations of others. Events kick off with Moet Hennessy’s The Q hosted by Paual Deen and Sons, which is being presented by Omaha Steaks and sponsored by Miami magazine. Reception hosted by the Food Network’s Paula Deen. Other great happenings during the four day festival include Nobu’s Vegetarian Dinner, Best of the Bay hosted by Michael Mina along with Tyler Florence, Richard Reddington, and Thomas McNaughton, and a House of Mandela Wine Dinner. After Dark you can catch up with Curtis Stone, and on February 22nd there will be an Oyster Bash hosted by Ming Tsai and Jeremy Sewall, a Beer Tasting with Spiegelau (striving to answer the question: does the glass really make a difference? 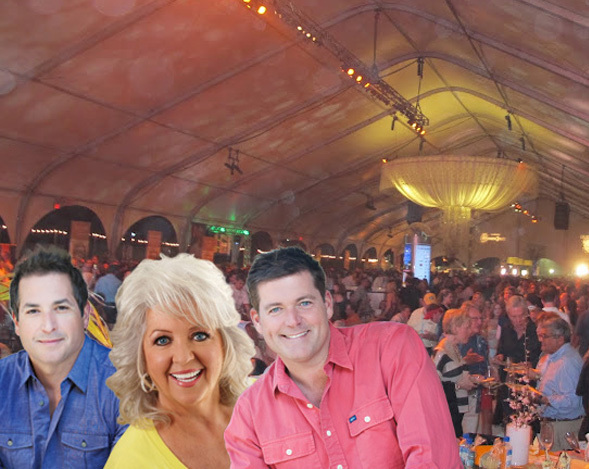 ), and a VIP Reception hosted by Rachael Ray and presented by Amstel Light. SOBEWFF will also be featuring a From Big Apple to Big Easy event featuring the likes of Josh Besh, Marcus Samuelsson, and Jonathan Waxman. Giada De Laurentiis will show what it’s like to be an Italian in Paradise, and Ray will also host an Amstel Light Burger Bash. On February 23rd, meanwhile, you can do brunch with Bobby Flay or a Dolce Bunch with Daniel Boulud and a Carnivorous Dinner along with Michael Symon. There will be a White on White Dinner at BIANCA hosted by Michael White with Brian Massie, a Chicken Coupe hosted by Andrew Caremellini, Thrillist’s BBQ & the Blues, and on Sunday there is a Southern Kitchen Brunch hosted by Trisha Yearwood and Guy Fieri’s Reggae Jam with Ziggy Marley Live among many other events being held over the four day period. Visit sobewineandfoodfest.com for schedule information and pricing. Of course, if you’re planning a luxury villa rental vacation to Miami you’ll likely also want to try new restaurants for dinner, one such place that is coming to town is Sushi Mikasa. The Miami outpost of the popular Brooklyn eatery will be located and 1801 Collins Avenue and will feature the creations of celebrated chef Kevin Chun. Miami’s Mikasa is being brought to you by Command PR owner Jonathan Cheban, a close personal friend of the Kardashians who have also clearly discovered the appeal of Miami. Miami – If you’re looking for a little fun in the sun to go with your romance then Miami is an ideal option for a couples’ getaway. How much or little you do is really up to you. Spending the day lounging by your private pool or hit the beach, you can always indulge in some shopping or spa services too. At night you can choose to dine in privacy at your luxury villa rental or venture out to enjoy Miami’s vibrant dining and nightlife scene. Perhaps try some rooftop dining under the stars, or for some classic romance a hot air balloon ride across the Everglades. Want a reminder of how precious love is? Visit Coral Castle, a monument to lost love. Aspen – The Aspen ski scene is still in full swing, and the slopes and streets of this high class ski resort are still recovering from the celebrities who touched down during the holidays. From Mariah Carey to Antonio Banderas, Justin Bieber and Taylor Swift, Aspen has been one of the most popular places for jet setters to vacation this year. 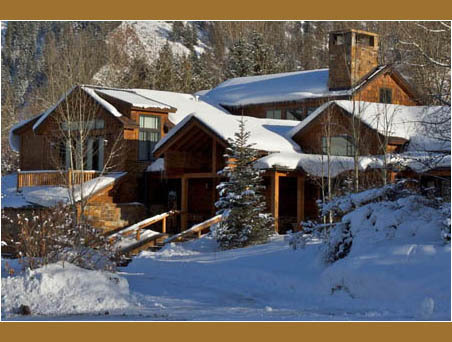 Aspen is ideal for your romantic luxury villa rental vacation whether or not you want to enjoy the slopes. While skiing can definitely add an element of fun and adventure to your romantic getaway, you can just as easily choose to retreat to your villa in privacy and enjoy the views of snow-capped mountains and sprawling vistas before a roaring fire. 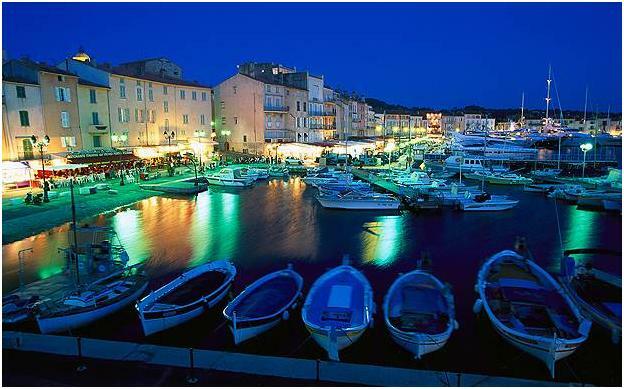 St. Tropez – When it comes to romance, off season may be just the ticket and Valentine’s Day is a perfect time of year to visit a place that is bustling in the summer months, especially if you’re looking for some privacy and seclusion. Choose from a wide selection of gorgeous luxury villa rentals that can be your home away from home on your getaway, and venture into town whenever you choose–whether for a spot of shopping or a great meal at one of St. Tropez’s many celebrated restaurants. Valentine’s Day can be a tricky holiday, but a getaway to recharge and reconnect will never go unappreciated. Choose a luxury villa rental for your romantic holiday so that you can enjoy privacy, opulence and all the comforts and advantages of a five-star hotel. 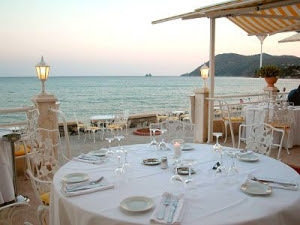 You are currently browsing the Luxury Home Rentals in Miami, Aspen & St. Tropez – Villazzo blog archives for the year 2013.